Statisticians A Lennart Julin and Mirko Jalava look back on the best middle distance performances of the year, with Julin covering the men’s events and Jalava the women’s. It could be said that 2012 was, perhaps, the greatest year ever over two laps of the track, including a thrilling London 2012 Olympic Games final which saw world records for seniors and juniors, a year which revamped the world all-time list for juniors with new top three and three more entries in the top nine. Consequently, the expectations for 2013 were immense as five of those six men would still be juniors. It turned out that only one of them would improve but he. Ethiopia’s Mohamed Aman, moved into the number one position left vacant in early summer by injuries to the reigning Olympic and World champion David Rudisha. Aman’s only loss was to Rudisha in early May at the IAAF Diamond League meeting in Doha, and he went on to win his five other Diamond League races, culminating in 2013 world-leading time of 1:42.37 at the IAAF Diamond league final in Brussels. His winning asset was his strength down the final straight. 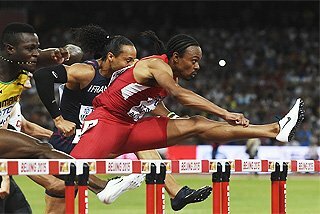 In Aman’s nine finals after his defeat in Doha, he had an average winning margin of 0.6 and closest was the 0.24 advantage he had over the US silver medallist Nick Symmonds at the IAAF World Championships in August, which Aman won in 1:43.31 to become the youngest ever World Championships medallist of any hue. 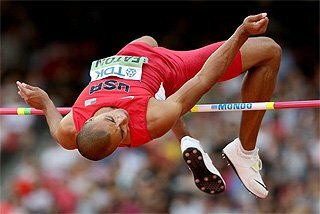 If other youngsters failed to progress 2013, there was a revival of the old guard headed by Symmonds who, at the age of 29, actually ran five of his six fastest times ever and finished the season with second in Brussels in 1:43.03. There were, almost inevitably, some new names coming to the fore. Djibouti’s 1500m specialist Ayanleh Souleiman ventured successfully into this distance and got the bronze medal in Moscow behind Aman and Symmonds, having earlier in the season run a national record of 1:43.63. France’s 21-years old Pierre-Ambroise Bosse compiled a solid season at in the 1:43-1:44 range. Kenya’s Ferguson Cheruiyot came out of nowhere and, despite not progressing from his heat in Moscow, showed his talent when finishing third behind Aman and Symmonds in Brussels in 1:43.22 for third on the 2013 world list. 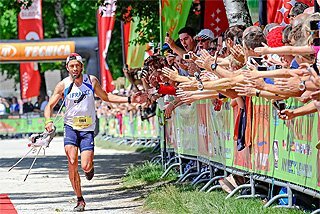 After Hicham El Guerrouj left the scene at the end of 2004 it seemed that the event lacked a driving force to show the rest of the elite into sub-3:30 territory. In the eight years between 2005 and 2012, there were a grand total of only eight races where the winner dipped under 3:30 and only one of these races saw a sub-3:29 time. In the preceding eight years, El Guerrouj alone ran 16 times under 3:29. 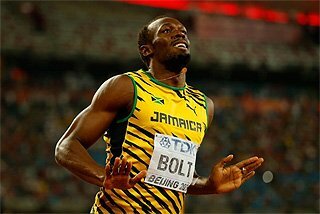 However, the fact that the runners of today also have the physical abilities to run very fast was emphatically proven at the IAAF Diamond League in Monaco this summer. Kenya’s 2008 Olympic Games champion Asbel Kiprop was a man on a mission that evening, running 3:27.72 to move up to fourth on the all-time list with the fastest time since 2004. Behind Kiprop, long distance specialist Mo Farah lowering his personal best by five seconds to 3:28.81 and became the sixth fastest man of all-time, also capturing the European record while Kenya’s Caleb Ndiku trimmed over two seconds off his best with 3:29.50. 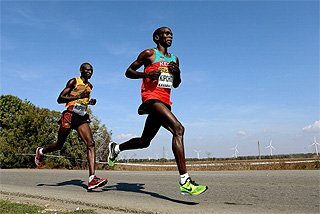 Kiprop sadly never pushed the pace in similar fashion in his following races but he did retain his World title in Moscow when a relatively slow-run race played into his hand. At the World Championships, the USA’s Matt Centrowitz again showed his ability to rise to the occasion and took the silver medal, having finished third at Daegu 2011 and fourth at the London 2012 Olympic Games, despite ending the year outside the top 20 with a season’s best of ‘only’ 3:33.65. Monaco was the only race of the summer to see men go under 3:30. 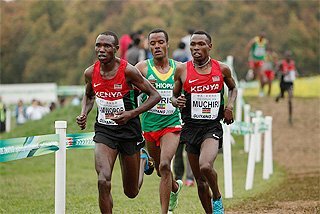 The best of the rest saw Kenya’s Silas Kiplagat, sixth in Moscow, win at the end-of-season IAAF World Challenge meeting in the Italian town of Rieti in 3:30.13. With the world leading athlete, Burundi’s Francine Niyonsaba who had run 1:56.72 at the IAAF Diamond League meeting in Eugene on 1 June, out of the picture because of an injury since early July, the race for the IAAF World Championships in Moscow was quite open. 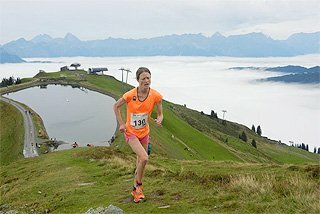 Russia’s Mariya Savinova, 28, was the top pick for most people, but having only started a total of two races, and nothing indoors, in 2013, she just wasn’t quite as big a favourite as in the last two years. 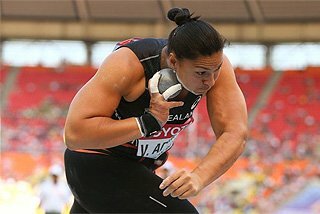 However, Savinova had won the previous World Championships in Daegu two years before and over two laps of the track at the London 2012 Olympic Games so her chances on home turf were seen as strong despite the paucity of her racing programme. What many people thought was also a point in Savinova’s favour was that, in the absence of 2007 and 2009 World champions Janeth Jepkosgei and Caster Semenya, there were not many runners with prior accomplishments in major championships either. In the end though, Savinova had to settle for the silver medal as the 25 year-old Kenyan Eunice Sum created one of the biggest surprises of the Championships by winning in personal best of 1:57.38 in only the second major championships of her career. Savinova was second this time in 1:57.80 season’s best and USA’s Brenda Martinez, making a big breakthrough in 2013, won the bronze in a personal best 1:57.91. 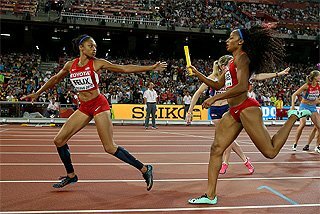 Sum, cue many punning headlines in the athletics media, had progressed to the Daegu 2011 semifinals but had actually not competed over 800m outside of Nairobi before coming to Russia in August, after having concentrated on 1500m during the early part of the season. 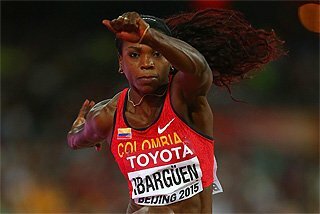 She capped her season with two more wins in IAAF Diamond League meetings after Moscow, in Stockholm and Zürich, and so can easily be rated number one in this event. Obiri has competed in four major championships and made the final every time, including the 2012 IAAF World Indoor Championships, where she won the 3000m. She gave a clear indication that she was going to be a factor in Moscow when she won at the IAAF Diamond League in Eugene in 3:58:58. 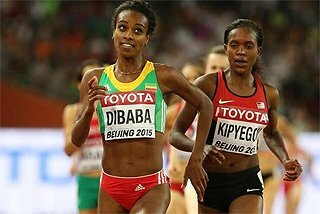 The fourth woman under four minutes this year was Ethiopia’s Genzebe Dibaba, who produced a 3:57.54 personal best in Doha, her only race under four minutes this season. 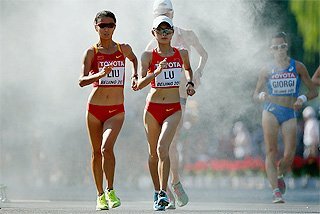 The 22-year-old younger sister of Tirunesh Dibaba finished in eighth place in the Moscow final.